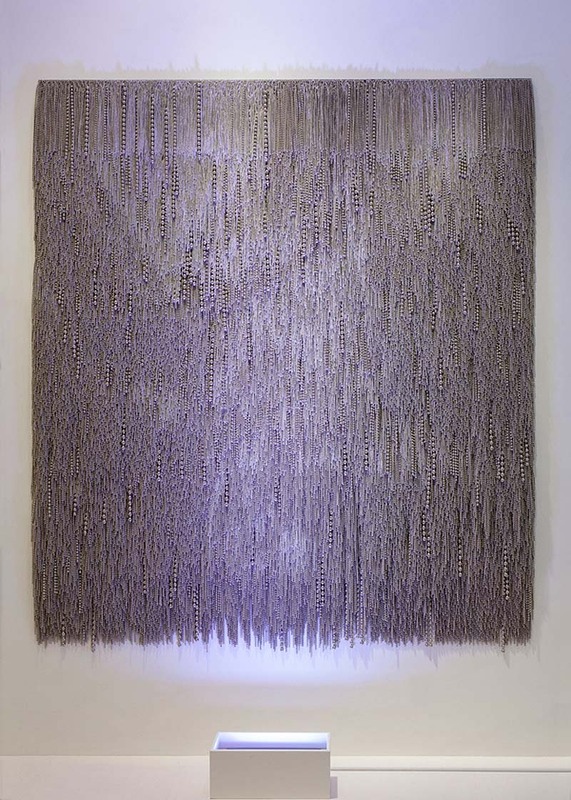 From a distance it’s hard to tell if New York based artist Alice Hope’s works are paintings, tapestries, or even hanging shag rugs. But, as you get closer the source of the curious colors and textures is revealed as long strands of aluminum ball chains, some painted, others in their natural metal state. Hope painstakingly places each one of these ball chains manually (I know because I saw her finishing one up at the Armory Show earlier this month) onto a perforated steel panel, using magnets. Though it could seem that the process is random, in reality Hope has a process that often relies on numeric patterns. 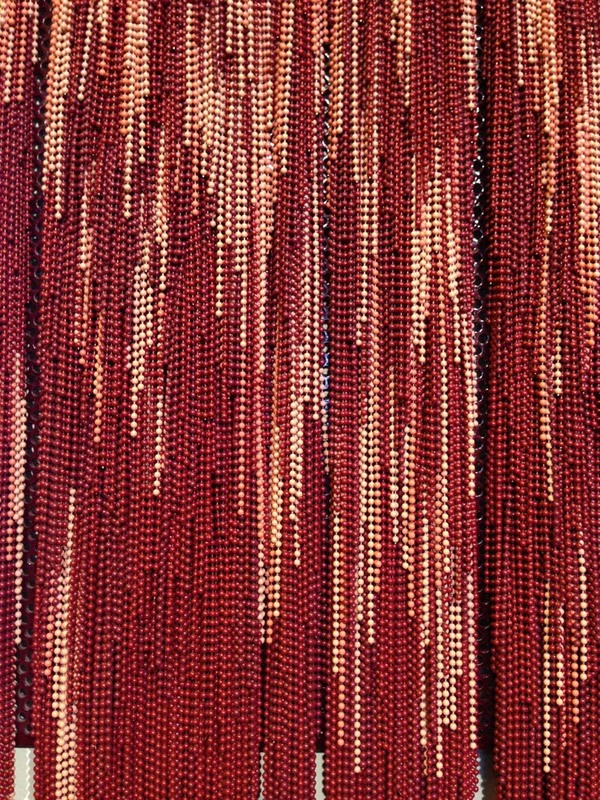 The repetition and monotony of the process is a significant part of the work, as is the gradual deterioration of the work that occurs through dropped chains and magnets. 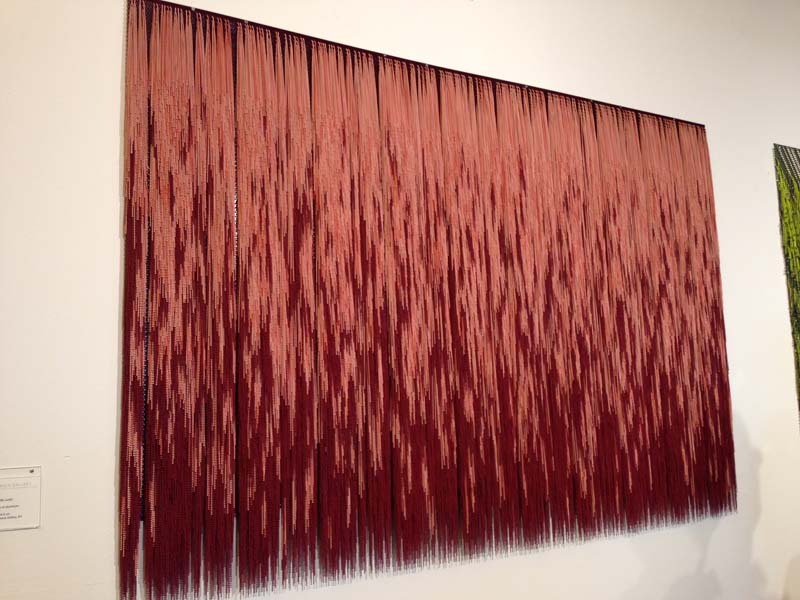 Currently you can see one of Alice Hope’s pieces at the Greene Space in NYC. The video below shows her process installing it. Photos courtesy of the artist and collabcubed.